Microsoft today announced it is adding another update track -- or in its vocabulary, a new "ring" -- to its Windows 10 preview program for those who want to be on the cutting edge, but just by a sliver. "The Release Preview ring will focus on Insiders that want to stay on the Current Branch (currently builds based off of 10586), but continue to receive early access to updates, application updates, and driver updates," said Gabriel Aul, engineering general manager for Microsoft's operating systems group, in a post to a company blog Wednesday. Dubbed "Release Preview," the track will be more conservative than either of the two existing rings -- pegged "Fast" and "Slow" -- but will give users access to features, functionality, apps and device drivers before customers on the production-grade timetable see them. Those production-code updates come off the "Current Branch," one of several update and upgrade cadences. Windows 10 users on the Current Branch are to receive major refreshes two, perhaps three, times each year. In a piece posted to the Insider Hub, an app automatically installed on Windows 10 previews, Microsoft was slightly more expansive about who should consider the new ring. "The new Release Preview ring will be your best option ... [if you] enjoy getting early access to updates for the Current Branch, Microsoft applications, and drivers, with minimal risk to [your] devices, and still want to provide feedback to make Windows devices great." Only those Windows 10 users who are now running the most recent Current Branch build -- that's version 1511 -- can register for the Release Preview ring. 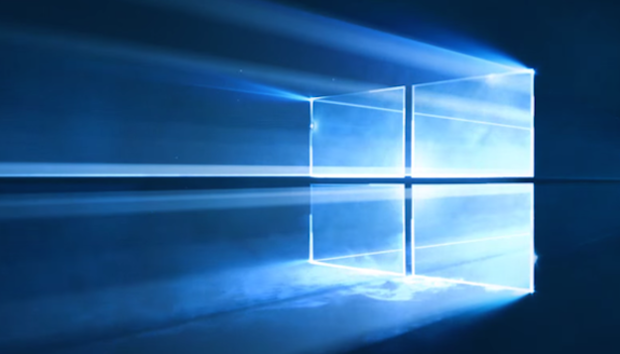 Windows 10 1511 debuted in November. The expansion of Insider may bring in more testers, a key component of the beta program. Microsoft has said the feedback it gets from preview participants is critical to Windows 10's leaner, faster development process, which is much less reliant than before on internal testing to uncover bugs and craft fixes. Theoretically, the more testers the better. The Insider Hub post also went to some lengths to warn testers who sign up for the Fast ring, with stronger caveats than Microsoft had used previously about the potential for problems running the very earliest releases. The reason: Microsoft is loosening the rules for issuing a build to public testers. According to the company, a feature or application update will be added to a Fast ring build as soon as it passes the automated testing in the company's labs. "Going forward, Windows Insider with devices in the Fast ring should be prepared for more issues that may block key activities that are important to you or may require significant workarounds," said Microsoft. "Windows Insiders should be ready to reinstall Windows using the Media Creation Tool or Windows Device Recovery Tool when you are significantly blocked." The Release Preview will be available "in the coming weeks," Microsoft said. In related news, on Tuesday Microsoft renamed the release branches for Office 365, changing "Current Branch" to "Current Channel," and "Current Branch for Business" to "Deferred Channel." Microsoft declined to comment when asked whether those new names would also apply to Windows 10.